Fun fact: All Peculiar PPL t-shirts (beginning with the “Mr. Peter P. Peculiar” design) have included a reflection of my G-head logo in a hidden location on the shirt. Since I’m a peculiar person, I fit the profile of the target customer for my clothing brand, Peculiar PPL. As a result, I design all of the products to be a reflection and extension of me and my aesthetic desires. Most recently, I decided to expand the dress shirt product line to include three products that are a reflection of the things that have contributed to who I am. The resulting products were dress shirts that mirror the color schemes of significant products from three wonderful companies: Nike, Apple and JetSuite. Growing up, I swooned over the Nike Air Force One sneaker because I’ve always loved the classic minimalism of the design and also all of the “cool kids” in elementary school owned pairs. When I was in third grade, I asked my mom to buy my first pair of Air Force One and her response was simple and effective— “hahahahahhahahahahhaha!!!!! !” The desire to own these sneakers gradually increased as time progressed and when I entered college, my desire peaked. 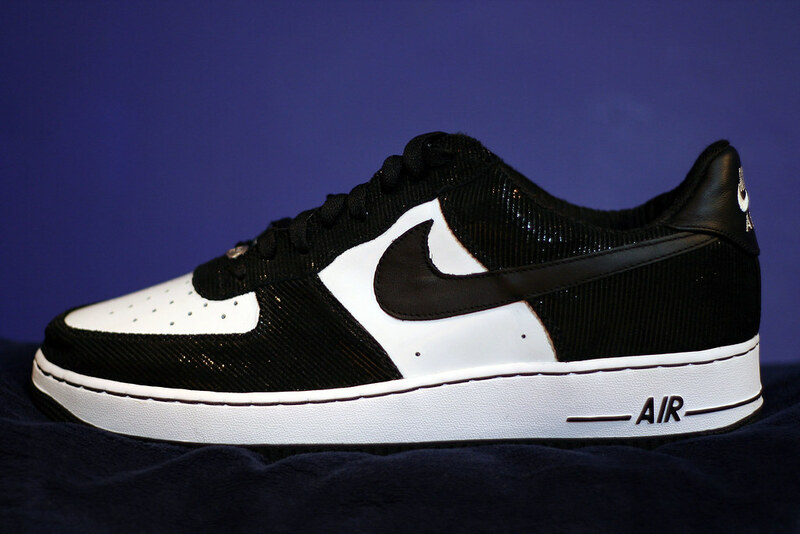 For Christmas of 2005, I had one simple request: “I’d like the Nike Air Force One Premium Tuxedo Sneakers in size 12, please!” To my surprise, my mom crossed hell and high water, navigated through shady neighborhoods and managed to get the sneakers that her beloved son wanted. On that unforgettable Christmas morning, my world seemed to stop when I realized that I finally owned a pair of the elusive Air Force One sneakers that I adored from afar for over a decade! I adored the fine craftsmanship of the sneaker and I fell in love. Not only did I fall in love, but I decided that I needed to own every single pair of Air Force Ones ever created from that point onward. Starting in 2006, I collected these sneakers and even set aside a weekly budget to ensure that I could purchase at least four pairs a month. As a result, my sneaker collection grew to include The Christmases, The Premium Alligator Skins, The Rasheeds, The Baseball Packs, The Untold Truths, The Escapes, The Camo’s, The Scarfaces, The Seersuckers, etc, etc, etc. By the time that I retired my Air Force One addiction, I’d amassed a collection of over 150 sneakers with a total value of over $18,000. These sneakers made me appreciate fine craftsmanship and simplicity in its design while teaching me that any goal can be accomplished with the help of focus, tenacity, and [in this case] the support of family members. The black and white Peculiar PPL Reflection Collection shirt is a reflection of this significant product in my life. It was designed to mimic the color scheme of the Nike AIr Force One Tuxedos with the same level of detail and quality that I originally discovered in the sneaker. 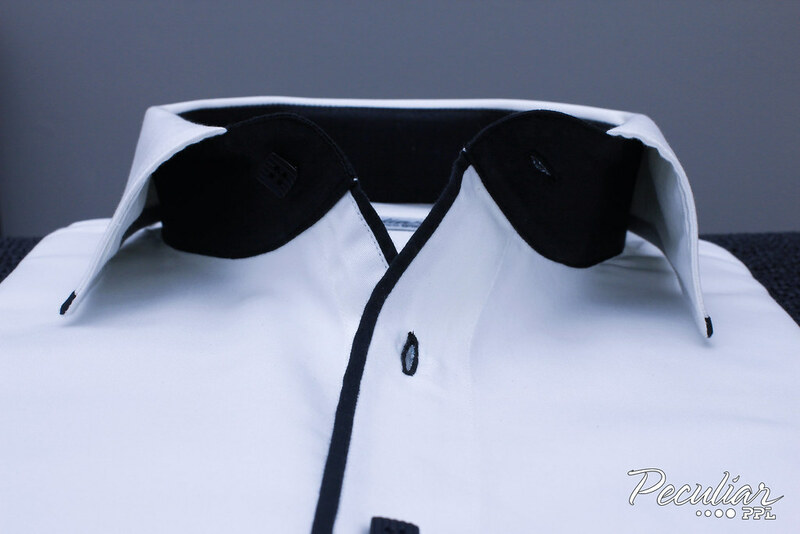 The dress shirt has high-contrast black and white cues throughout and, most notably, black trim on the collar, placket and cuff to accent these elements. Even though the shirt would look great when worn with a formal tuxedo, it would look just as great if worn in a casual capacity with one of the most beautiful sneakers that I’ve ever owned—the sneaker that changed my world—the Nike Air Force One Tuxedos! Next time, I will feature Product Number 2: The Apple Reflection. I Received $400 to Keep an Aeron Chair!